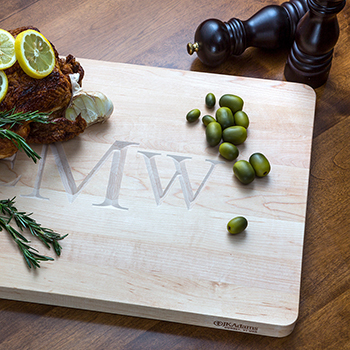 Our PRO Classic maple prep board has long been the choice of professionals and serious home cooks who know that a sturdy, well-crafted board is all you need to complete a myriad of kitchen tasks like slicing, dicing, chopping and even serving. When considering improvements for the New PRO Classic 2.0, we had an "aha!" 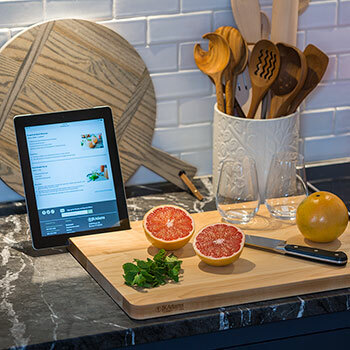 moment and added a tech slot to our two largest sizes -- it's the perfect place to display your smart phone or tablet for viewing online recipes or streaming the latest episode of The Great British Baking Show. 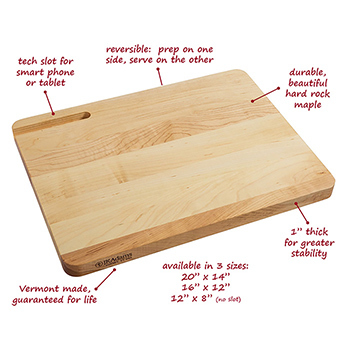 Crafted in Vermont of beautiful, durable hard rock maple, this 1" thick board offers greater stability and is reversible: prep on one side, serve on the other! Available in three different sizes (small size does not have a tech slot). Wonderful. 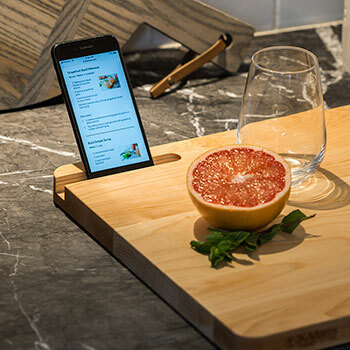 We have a large cutting board that covers the end of a marble topped island. It gets multiple uses every day. It is large enough to prep vegetable soups! We love it. 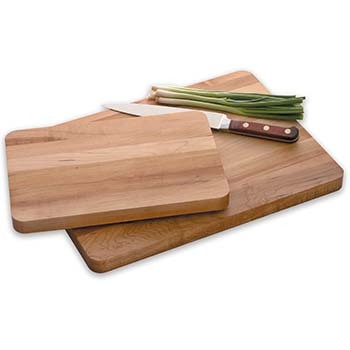 Bread board is both beautiful and the right size to slice a baguette. We recommend both products very highly.